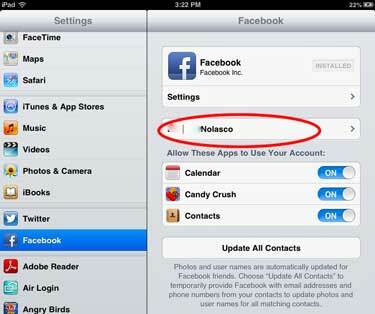 This post will teach you how to change your Facebook account using iPad in Candy Crush Saga games. The first time I heard this game I’m not interested because it sounds games for baby, I noticed on my Facebook notifications, almost every day, my friends are requesting to join Candy Crush Saga. I’ll try to open the game app and try to start the game, when I completed level 1, and I saw the score who is on top, and I am beaten some of my friends, I try again level 2, until I found out that my level, getting high, I agree with the post that I read that if you start using this app for at least a minute you become addicted. If you are using Candy Crush Saga on iPad or iPad mini and you want to change your Facebook account, due to sometimes you are not only one using your iPad, or you only barrow the iPad that you are using, either of that you need to change your Facebook account to synchronize the games. 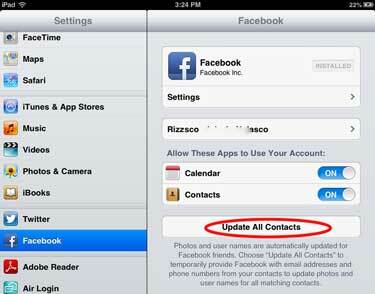 Below are the detailed step to change the Facebook account on Candy Crush Saga using iPad or iPad mini. 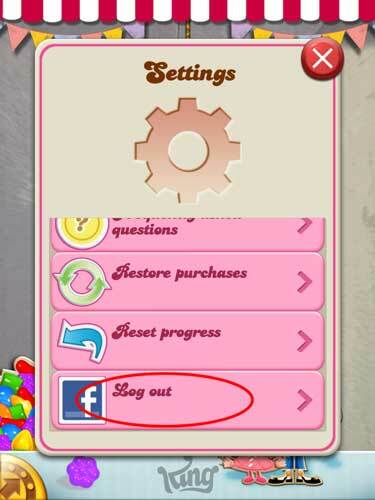 You need to logout first to Candy Crush Saga, go to the settings, you can do that by tapping the rounded gold color with the arrow going out at the bottom-left part of the screen, and the like the picture below will appear. If you have already logged out, go to next step. Next, go to the settings of your iPad or iPad mini, in this sample I am using iOS 6 iPad Mini, anyway I think it’s almost same. Tap on the settings icon and find the Facebook app, tap on your name, see the picture 1 below. Another window will appear like on picture 2, tap on Delete Account red button to log out the Facebook account the currently log on on the iPad. A window will pop-up asking if you want to merge or remove Facebook info, choose remove Facebook info. Update: If you are using iOS7 device use this instruction. After you finish to logout, you will be redirected to a window where you can log into your Facebook account, just sign in. Update all contacts, See picture below. Go back again to Candy Crush Saga app and connect your Facebook account and your done, please consider sharing this article if you find helpful, enjoy!